Bounce Rate, as we know it, is the percentage of online visitors that visit your site and do not navigate to other parts of your site in that single visit. In simple words, bounce rate is calculated on those visitors who simply navigate away from a website after viewing only one page. Thus reducing a Website’s Bounce Rate is highly crucial in the present scenario of SEO strategies. 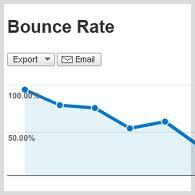 Bounce Rate can be a silent killer for your website’s productivity. It is the sole element behind decreasing your user base, lowering online sales and conversions, and increasing your site’s unproductive level. Before we start discussing here’s a quick example – if a visitor lands on your Page A and then hits the exit button without going to Page B. This can be quite frustrating if you’re investing your time and money for search engine optimization and increasing visitors using various paid online marketing techniques. All your hard work goes down the drain as soon as the visitor exits your site. So to help you to win over your website bounce rate, we have compiled the important points that you should keep in mind while designing, optimizing and creating contents for your website. Do Proper Internal Linking – Interlinking your contents properly helps the Reader notice the related links and visit them to know more additional information. 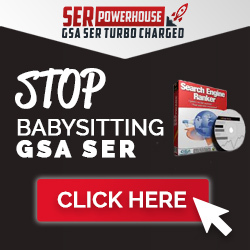 As a result of this behavior they tend to stay even more and surf more pages on a per visit basis. Thus reducing your website bounce rates. Place your ads in Safe Zones – Advertisements play a crucial role in a Blogger’s Life. The revenue from advertisements motivate the continued interests towards the site. Advertisements are a necessary evil that can harm your users and even turn-off potential readers. Placing advertisements in safe zones of your website is the key to maintain your user base. This improves the visitor’s User Experience and helps to stay longer on your site. This has a direct impact on decreasing bounce rates. Get rid of Third-Party Content – The equation for keeping rich widgets, loading from third-party contents on your website is directly proportional to your website bounce rate. The more you indulge in using third-party content or their services, the slower your website pages will load, which in turn will make the users leave your site. Enable Clean and Smooth Navigation – Navigation is an important aspect in every website. Without proper navigation, users will automatically hit the close button. Your website navigation should be easily accessible and clear from the user point-of-view. Avoid using drop-down menus cause it won’t work for mobile users. Avoid Unnecessary Distractions – Distractions can be in the form of sudden pop-ups or expandable advertisements which appear as roll outs. Try using animation at the lowest setting and avoid audio ads that take time to load up and can hamper user concentration while reading your website content. Personally, I hate sites that slap you with their email submission form while you’re trying understand their content or maybe following some steps of any tutorial series. Having a Flexible Layout is a must – Using a flexible layout that can transform easily according to the user viewing device will help reduce website bounce rate. Nowadays, mobile users are going online at a much faster rate as broadband penetration and mobile handsets reach out to the young youth of our country. The increase in the overall traffic is captured and retained by websites that can adopt quickly to the user device.